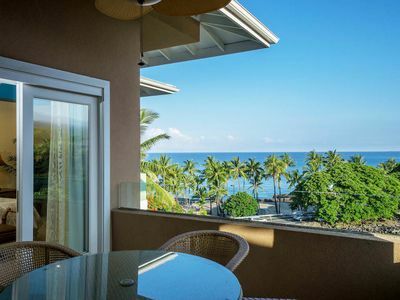 Nothing but rave reviews from our guests after a stay at our oceanview condo. 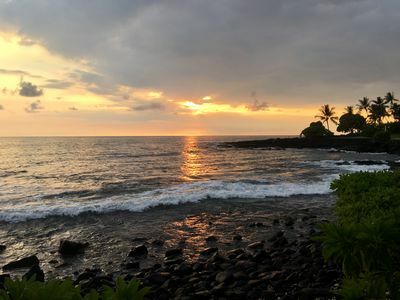 Come enjoy the amazing picturesque sunsets at Kona Makai. 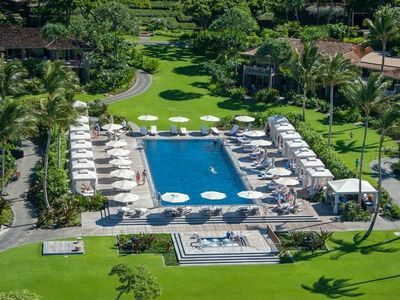 Your dream vacation begins the moment you arrive. 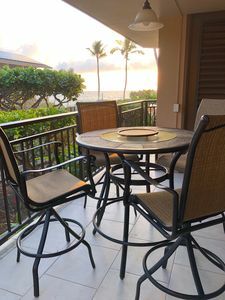 You can start and end your day on the large lanai overlooking the beautiful view. 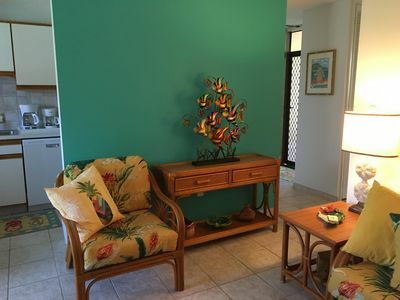 Fully furnished, air-conditioned 2 bedroom, 2 bath, with updated kitchen and new tile flooring allows for a serene setting to the vacation of a lifetime. 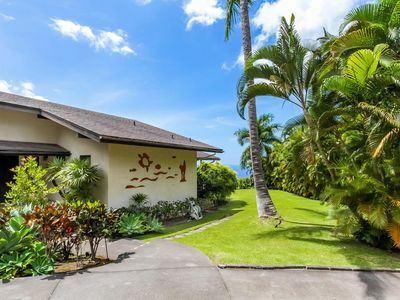 The bedrooms are on oposite sides of the unit for great privacy. 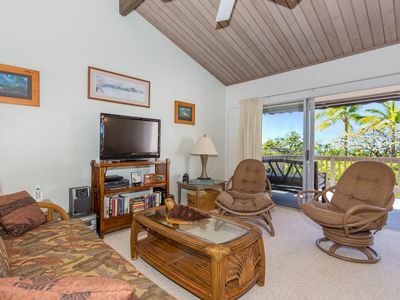 Master Bedroom has a King Size super comfy bed with attached bath and large door out to the lanai. 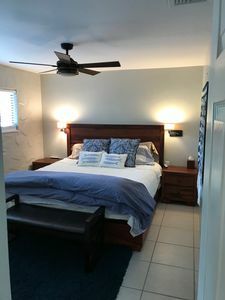 2nd Bedroom has a Queen size bed and it's own large detached bathroom. 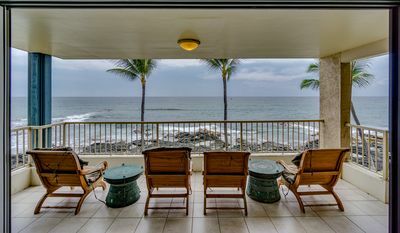 With a wall of windows in the 2nd Bedroom and the Lanai off the Master, at night, the waves can soothe you to sleep with their calming rhythm. 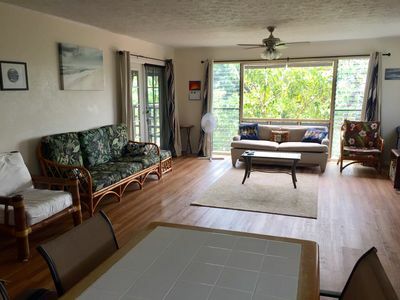 The Condo has been freshly updated with everything you need to make it feel like your home away from home on the Big Island! 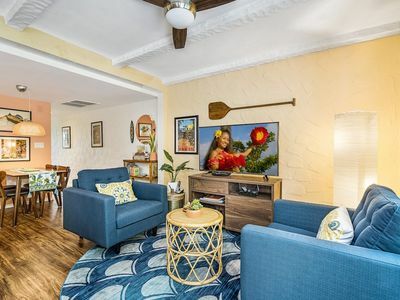 The updated fully-equipped kitchen is the perfect spot to enjoy the plentiful produce from the local Farmers Market, or your latest fresh “Catch of the Day” from your deep sea fishing adventures. Washer and Dryer right in the unit is a real plus. 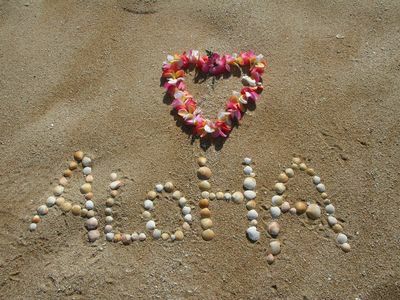 From a blender to a pineapple cutter, meat thermometer, wine opener and more you should have all you need to prepare and enjoy a lovely meal. 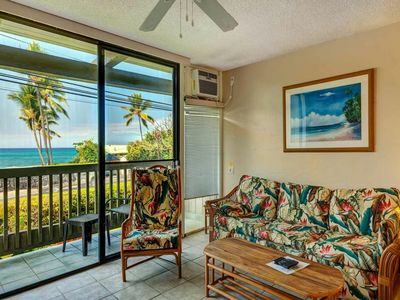 Our renters love the little extras we provide like Beach Towels, a cooler, beach umbrella, hair dryers, iron and more so you can jump right into enjoying your vacation. 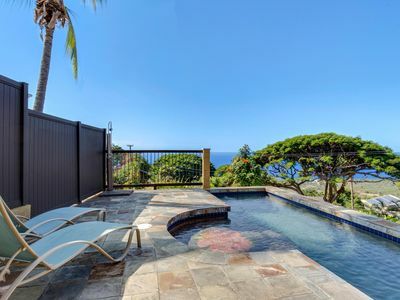 Fresh linens on the beds and fresh towels in the bath make it easy to relax and settle in from the minute you arrive. 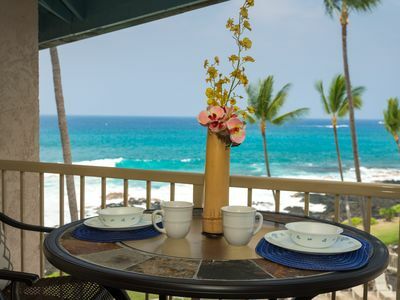 The Kona Makai Condo Community has everything you need to enjoy your Hawaiian getaway. 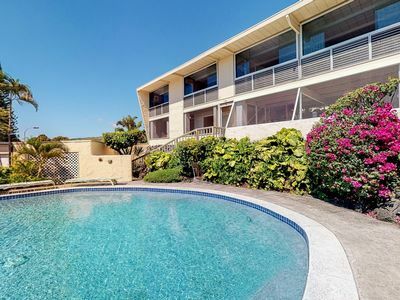 It features an oceanfront heated pool, hot tub, lounge chairs, tennis courts, workout room, BBQ grill area and more - everything you need to enjoy the tranquil view and refreshing ocean air. 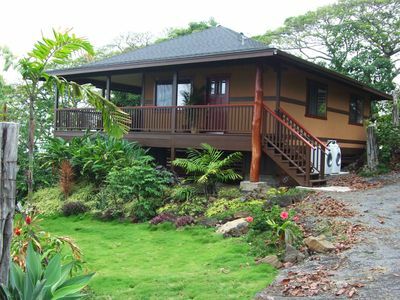 It is conveniently located just 1 mile South of the heart of historic Kona near restaurants, shopping and the farmers market. 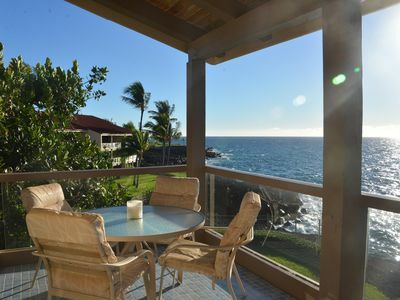 Our little piece of Paradise! 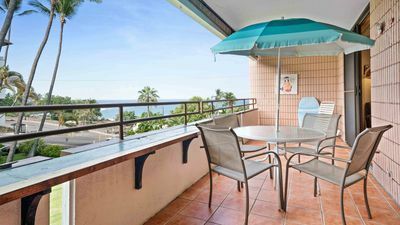 Fabulous view, easy walk to restaurants & shops. 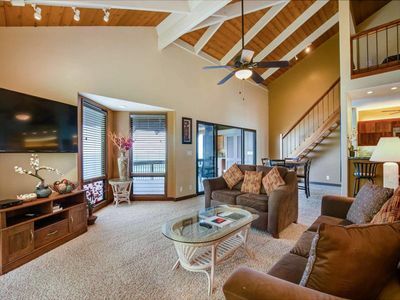 *** New Listing, Completely Upgraded *** Amazing oceanfront condo with AC!! 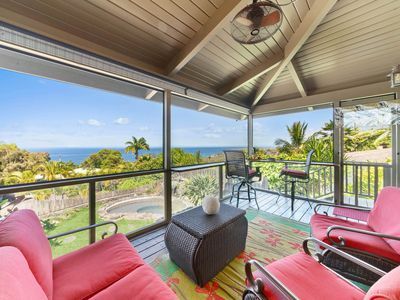 Beautiful home w/ sweeping ocean views, private pool, hot tub & covered lanai!